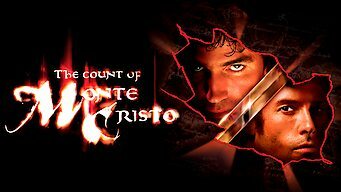 How to watch The Count of Monte Cristo (2002) on Netflix Portugal! Sorry, The Count of Monte Cristo is not available on Portuguese Netflix, but you can unlock it right now in Portugal and start watching! With a few simple steps you can change your Netflix region to a country like Taiwan and start watching Taiwanese Netflix, which includes The Count of Monte Cristo. We'll keep checking Netflix Portugal for The Count of Monte Cristo, and this page will be updated with any changes. The Count of Monte Cristo is not available in Portugal BUT it can be unlocked and viewed! After his life is ruined by a false accusation, a young sailor plots his revenge, insinuating himself into the French nobility as part of the plan. They betrayed, framed and imprisoned him. Now he's got money and a new identity -- and cold vengeance on his mind. There is a way to watch The Count of Monte Cristo in Portugal, even though it isn't currently available on Netflix locally. What you need is a system that lets you change your Netflix country. With a few simple steps you can be watching The Count of Monte Cristo and thousands of other titles! Watch "The Count of Monte Cristo"